Obesity is one of the most common health problems seen in dogs of all ages. Your dog’s weight gain can be the result of overfeeding or caused by diseases like Cushing’s or hypothyroidism. Before you choose the best dog food for weight loss you should take your dog to the veterinarian so he can determine the exact cause for your dog’s weight gain. Maintaining your dog’s healthy weight can have a significant impact on his lifespan and overall health. Just a couple of extra pounds can put your dog at risk of developing some serious health problems. To help your dog lose weight you will have to find the appropriate diet food that is high in protein and low in fats. This combined with more activities will certainly lead to healthy weight loss. To make your choice easier we put together our top five picks for diet dog food. NUTRO Lite and Weight Management Adult Dry Dog Food is our choice for budget conscience owners. Made from farm-raised chicken, this blend is high in protein and fiber, made specially to help your dog lose weight. The first ingredient of this low-calorie food is farm-raised chicken. And to add the extra flavor to make this food irresistible to dogs NUTRO added also lamb meal, chicken meal, and fat. Whole brown rice, split peas, barley, dried sweet potato are healthy grains to eat included to help with digestion. Dried apples, berries and carrots provide enough vitamins to keep your dog healthy. This brand is committed to their “clean feed” policy and all their high-quality ingredients come from trusted farmers. They take special pride and care that none of the fruits and vegetables that are found in their blend are GMO. Full of fibers that are essential for good digestion, this food is recommended for smaller dogs who have stomach problems. All the necessary vitamins and minerals help maintain a strong immune system and provide your dog with plenty of energy. This formula contains minimum 25% of crude protein, 7% of fat, 25% of fiber to help your dog firstly lose than maintain his healthy weight. Standardized 8 oz measuring cup contains 222 calories that you need to distribute according to your dog’s calorie requirement. When you are using this food to help your dog lose weight, divide his daily amount into 4 smaller meals. Wellness is a brand that makes high-quality grain-free food, and their CORE line is packed with proteins. This is our recommendation for best weight management dog food for large breeds. This protein high food is created to satisfy dog’s primal needs for a diet that mainly consists of different types of meat. Deboned chicken, chicken meal and turkey meal are responsible for the 34% of crude protein in this food. This specially made formula of large breed dog food is 100% grain free like other CORE formulas. Spinach, broccoli, potatoes, peas, kale and sweet potato will provide your dog with necessary easily digested fibers. Wellness made this formula in a special way to contain all the essential vitamins, minerals, and fatty acids. Which makes this food balanced for daily feeding. CORE line is a good choice for both weight loss and weight management. All their prices are competitive and depending on your dog’s needs you can try other products from their line. Wellness CORE for large breeds contains 354 calories in 100 grams, and dogs that are put on a diet should eat 10% fewer calories than they require. Hill’s Science Diet Adult Light Small Bites dog food is specially made for smaller adult dogs that are less active or neutered. This diet food provides a balanced diet and healthy way for overweight dogs to lose weight. Hill’s Science Diet is famous for making dog foods for various health problems that are highly effective. This diet food is made with fewer calories without losing all ingredients that are needed for dogs normal health. The main ingredient in this food is chicken meal, this is a concentrated form of chicken from which almost all the moist has been removed. Chicken meal has three times more protein than chicken. This is a great source of protein in Hill’s special diet food. Chicken is also a great source of vitamin B6, Phosphorus, Niacin, and Selenium. Next main ingredients of Hill’s Science Diet Adult Light Dog Food are various grains. Pea bran meal reduces blood sugar, whole grain sorghum has a lot of omega 6 fatty acids, whole grain wheat is a good source of dietary fiber. Additional ingredients like dried beet pulp, oat fiber, and flaxseed are responsible for good digestion. This diet food also has all vitamins and minerals that will make sure that your dog stays healthy while losing weight. This low-calorie diet contains only 297 calories per 8 oz cup. Use 10% less food than your dog needs if you want him to lose weight. If you want just to maintain the healthy weight of your dog feed him with the required amount of calories he needs. And while some people think that this food has too many carbohydrates for diet food, customer reviews are full of great weight loss stories and praises for this brand. Taste Of The Wild Southwest Canyon Canine Formula is high protein food that contains the meat of wild boar, lamb meal, eggs and ocean fish meal. The variety of protein sources provides the desired amount of amino acids. The formula of this grain free diet food is strengthened with peas, garbanzo beans, blueberries and raspberries that are rich in antioxidants and vitamins. Prebiotic fiber is added to this formula to helps with healthy digestion. Taste Of The Wild is a high protein diet food that is full of fresh ingredients that are specially picked to satisfied the natural cravings of dogs. With a minimum of 29% of crude protein, 15% of crude fat and maximum of 5% crude fibers this is a great diet dog food at this price range. Taste Of The Wild has the huge diversity of different flavors that will make them hard to resist for any dog. 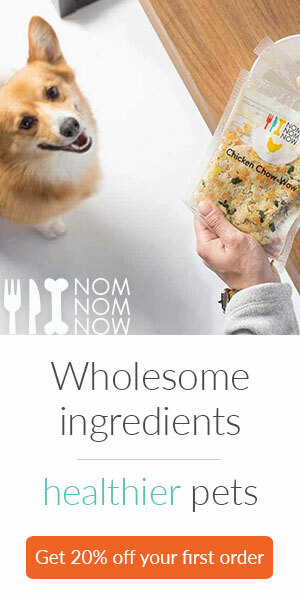 This particular flavor is suitable for dog’s of all life stages and it is a great choice if you only want to maintain your dog’s healthy weight. One standard cup of this dog food contains 360 calories. Divide this grain free dog food into three or four smaller meals in order to achieve the best weight loss results. Eagle Pack Reduced Fat formula is designed to accommodate all daily nutritional needs of adult dogs. This formula contains 8% fewer calories than Original Eagle Pack formula, and it is a high priced choice for dog food for overweight dogs. Made from three different types of meat Eagle Pack provides your dog with enough protein and tastes good. Peas, tomatoes, brown and white rice will sustain your dog needs for fibers and help with digestion. You can find all the necessary vitamins and minerals in this reduced fat formula that will keep your dog healthy during his diet. Glucosamine hydrochloride will keep larger dogs joints strong and their coat and skin shiny and healthy. This low-fat formula contains minimum 24% of crude protein, minimum 6% and a maximum of 9% of crude fat, and only 4% of crude fibers. Eagle Pack Reduced Fat formula contains 343 calories per standard cup and it needs to be fed to your dog in three or four smaller meals. Before you go shopping for the best dog food for overweight dogs there are things you need to know about healthy weight loss. In order to maintain your dog’s healthy weight he needs to eat balanced food, but what makes up a balanced food? Balanced dog food contains carbohydrates, proteins, fats, vitamins, and minerals. It is really important for dogs who need to lose weight to have balanced nutrition. The best diet dog food is made specially to fulfill all nutritional needs and at the same time help your dog lose weight. Proteins are made from amino acids which are important for tissue and muscle growth. Diet dog foods have higher levels of meat-based protein to help with the weight loss and healthy muscle growth. For adult dogs who need to lose weight chose diet foods that have at least 24% of proteins. Diet dog foods are higher in natural fats and oils which are the source of energy and good to maintain dog’s coat and skin healthy. When a dog is overweight he needs to eat food that is lower in fats. It is known that too much fat can cause problems like obesity, also to little fat can cause health problems. The recommended amount is 7% of fat for a healthy weight loss. Carbohydrates are also a source of energy and they are found in grains and vegetables. Grains are full of sugar and they should not be a part of a good diet food. On the other hand, vegetables are full of fibers which are healthy and they help with digestion. There isn’t a recommended amount of carbohydrates, but you should stick to grain free formulas. Vitamins and minerals are there to keep the dog’s immune system strong, and a dog healthy while he is on a diet. Always check if diet food contains calcium and phosphorous because they are important for growth and reproduction. Quality of ingredients used in the preparation of the dog food will reflect the quality of the food. Always chose food brands that are able to attest to the natural origins of their ingredients. Best dog food to lose weight is made from good quality fresh meat that is suitable for human consumption. Fruits and vegetables should be natural and not GMO. Also, natural food diet for dogs should not contain any additives, filler grains, artificial flavors, and colors. How to feed an overweight dog? Basically, when you are trying to find the best weight management dog food or you want to put your dog on a diet it is important to know how much calories he needs. When you calculate your dog’s calorie requirement you need to cut it by 10% if you want your dog to lose weight. Measure your dog once a month to see results. If your dog in on a healthy diet, he should lose from 1 to 5 pounds a month. If your first measuring showed weight loss, there is no need to change anything. On the other hand, if after one month your dog didn’t lose weight you need to cut the food intake for additional 5%. Depending on the amount of weight your dog needs to lose, this process can last 6-8 months. When your dog reaches his desired weight just continue feeding him with the same amount of diet food. When you are introducing a new food to your dog’s diet you should start by introducing a ¼ of a new diet food mixed with ¾ of the old one. After two days mix ½ of the new food with the ½ of the old one. Next four days mix ¾ of new diet food with ¼ of the old one. Next six days your dog will get used to the taste of the new food. Why dogs should not be obese? It is important to start feeding your dog with a special grain free dog food that is high in protein if you notice that he is getting chubby. This kind of diet will help your dog lose weight before he gets obese. With the right choice of diet food and with more activities your dog will lose weight and maintain his health. In order to help you find the best weight control dog food, we will review our picks for top rated diet dog foods that will help your dog lose weight. These are high-quality brands, and we compiled our list to suit everyone’s budget. These were our five top rated choices for best dog food for weight loss. All of these brands use high-quality fresh ingredients in the making of their food. We reviewed many different diet dog foods and found that these brands have the best price-quality relationship. These are top-of-the-line foods designed specially to help your dog lose or maintain his healthy weight. Now when you know what are the top brands in the weight loss dog industry don’t wait any longer to put your dog on a diet. Remember, healthy weight means healthy and happy dog.